Nonjatta: Hibiki 17 years - "pollen laden"
Hibiki 17 years - "pollen laden"
Hibiki is perhaps most famous outside Japan for its walk-on part in the film "Lost in Translation". 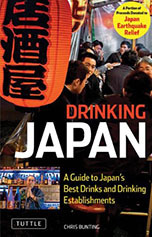 In Japan, it is just famous. 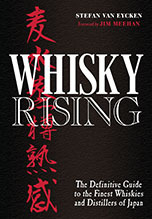 It is probably the most prestigious Japanese whisky brand you can buy. Although a blended whisky, Hibiki will set you back 6000 yen plus, more than many of the single malts. It is a very good blended whisky and the peppery floral taste is quite distinct from the prestige Scottish blends I have tasted. There are things about this Hibiki that remind me of what I love about Hakushu 12, but this drink is in a lower register. The nose is much more heavily floral than the Hakushu 12's: a pollen laden field in summer. I nearly sneezed. In the mouth, it has a touch of that Hakushu 12 pepper but there is a more mellow spiciness here. A taste of pine sap then a nice long warming finish. Hibiki tastes good if you add ice, as most Japanese people do, and is marketed as being designed to complement Japanese food (see the Hakushu 12 post for more background on this). Overall, it is good stuff but perhaps a little bit pricey relative to some of the excellent single malts Japan is making. Martine Nouet, Whisky Magazine, 40，4/6/2004. 8.75/10. Nouet liked the rich noseand found the palate full-flavoured: "Stewed peaches, coffee, walnuts. Aniseed. With water, toffee and more cream." She said it was quite dry at the finish, with nuts and spices. Dave Broom, Whisky Magazine, 40，4/6/2004. 8.5/10. Broom found the nose elegantly sweet "with some creamy oak notes... Dried orange peel. Light cocoa butter. Violet." In the mouth, it was sweet and expansive with red fruit and toffee caramel flavours developing. It had a "balanced dry oak" and a good slightly nutty length. Serge Valentin, Whiskyfun.com, March 19, 2005. 79/100 ("better than average"). Valentin thought the nose nothing to rave about: "fresh, on cereals, quite bold. Hints of spices." The palate had a nice balance "but not much character, with some caramel and apricot jam. A little bit of wood. Flawless but not too interesting." Hibiki 17 years' 2000 bottling got an average score of 79/100 ("better than average") from five reviewers on the Maltmaniacs.org website. for whatever reason, i find this hibiki makes me crave sashimi. perhaps there is some truth to the marketing. 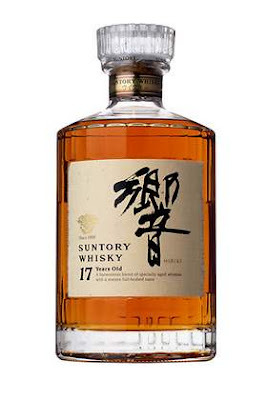 certainly, i feel the suntory whiskies stand out as being good with food due to their bright and fruity flavours, but whether this applies to japanese food specifically is perhaps another matter. For me, this whisky is a show stopper! A stunner! The palate is wondefully rich, complex weave of honey, gentle spices, cinnamon that leads to oak. The finish! Wow! A little sip goes a long way. For me, neat is the way to enjoy this whisky. All I can say is I am in awe. I've tried a lot of whisky but this is in my top five of all time. I really enjoyed the review on your site and indeed the whole blog! Recommended to all Nonjatta readers. The first thought coming up when I nosed the mini of Hibiki 17 a friend brought from Japan was: "1981 Lochside". It is a honeyed tropical fruit parade (and more) on the nose. The palate doesn't quite keep up; it ought to be bottled at a higher strength. I don't recognize this dram in older reviews. Is there a lot of batch variation?